After the platform has been installed, you can change server settings. 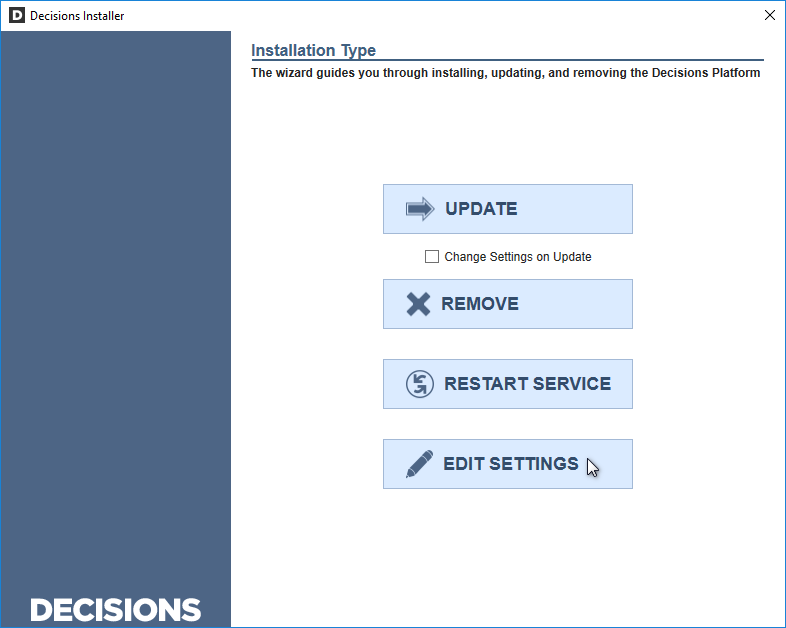 Click the Edit Settings	button on the installer's Installation Type step to update server settings. Once the updates are saved, restart services for the changes to take effect by clicking the Restart Service	button on theInstallation Type step. 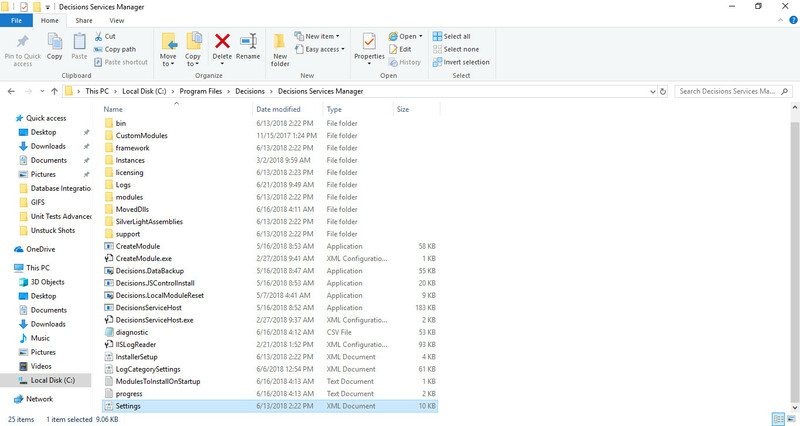 The email steps within Decisions use the server settings to send and receive emails. In the example, we change SMTP settings for an email server. Update the email server's IP address, as well as the username and password to access the email server. 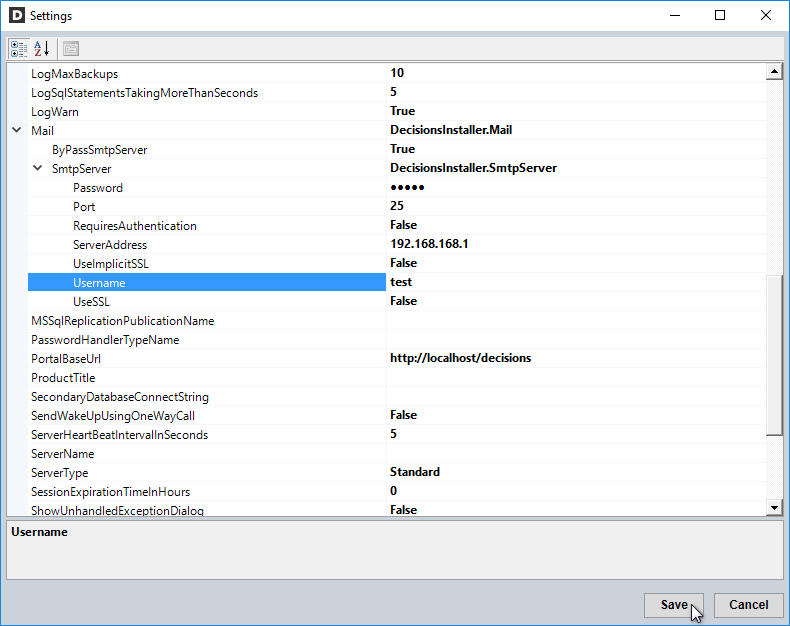 Run the installation application, and select the Edit	Settings	button from the Installation Type step. In the Settings pop-up, we expand the Mail	setting, then expand the SmtpServe	r	setting. Update the settings for Password	, ServerAddress	, and Username	, then click Save	. Now restart services for the changes to take effect. 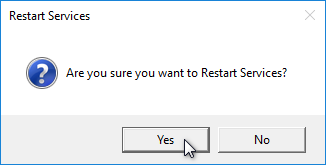 Back in the installer's Installation Type step, select the Restart Service	button. Confirm the action in the pop-up that displays. 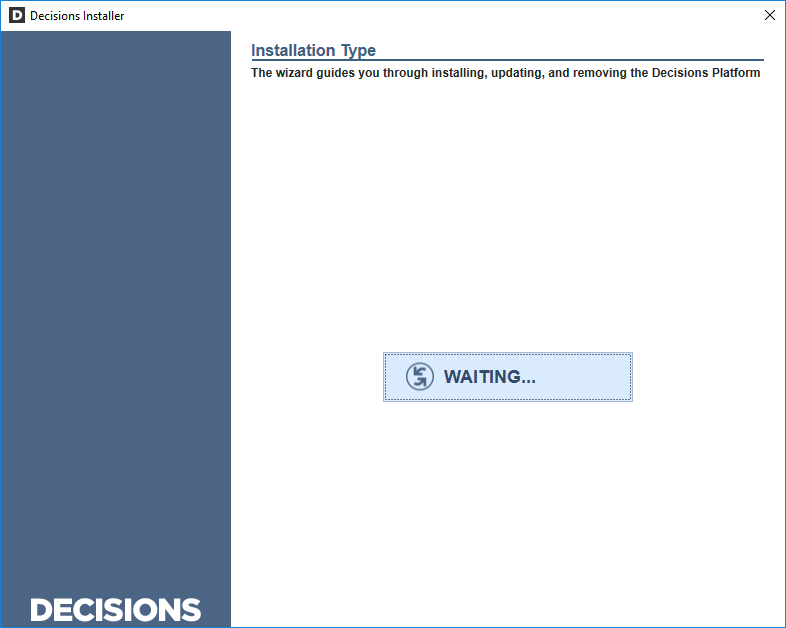 While the services restart, the options on the Installation Type step are temporarily disabled.